Francesc Levrero-Florencio has been announced as a winner of the best thesis award in In silico medicine by the Virtual Physiological Human institute (VPHi), based in Belgium. The award includes a cash prize of 1000 euros and the opportunity to deliver VPHi Keynote webinar to disseminate the results of his research to the community at large. 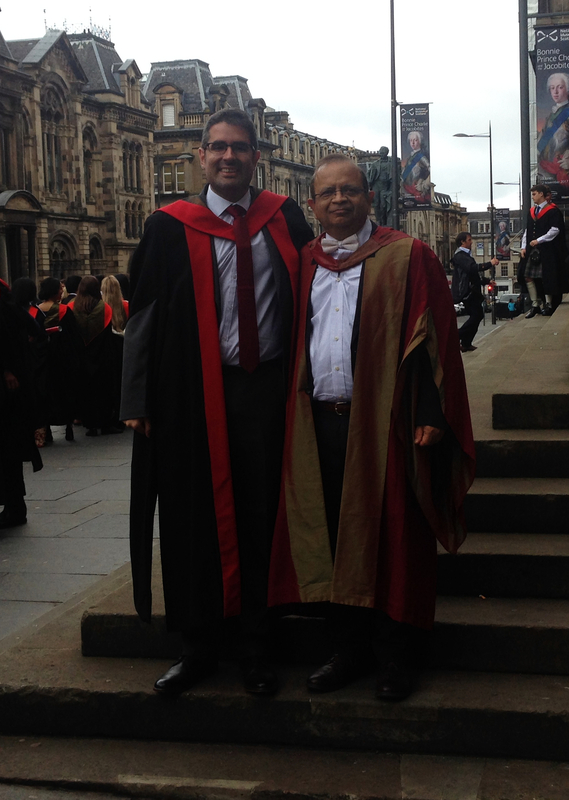 Francesc's PhD was entitled "Multiscale modelling of trabecular bone: from micro to macroscale" and was supervised by Professor Pankaj Pankaj. Francesc's study used micro–computed tomography (µCT) to develop very high resolution finite element (FE) models of spongy bone, which in turn were used to develop novel homogenised properties in elastic and post-elastic regimes. Since these problems are very large and nonlinear Francesc resorted to parallel computing. He developed new open source routines that incorporate geometrical and material (plasticity and damage) nonlinearities for massively parallel finite element simulations. These were implemented on UK's supercomputer ARCHER and Hartree Centre's system BlueGene. Francesc successfully demonstrated that these codes are scalable with the number of cores. The developed models will enable more accurate prediction of bone failure and diagnosis of bone quality. This work will also lead to more accurate predictions of implant stability and performance, reducing the need for expensive clinical trials. Francesc shared this award with another thesis from UCL.